Ever have the Thai version of drunken noodle? I have and it is hands down one of my all-time favorite Thai dishes. 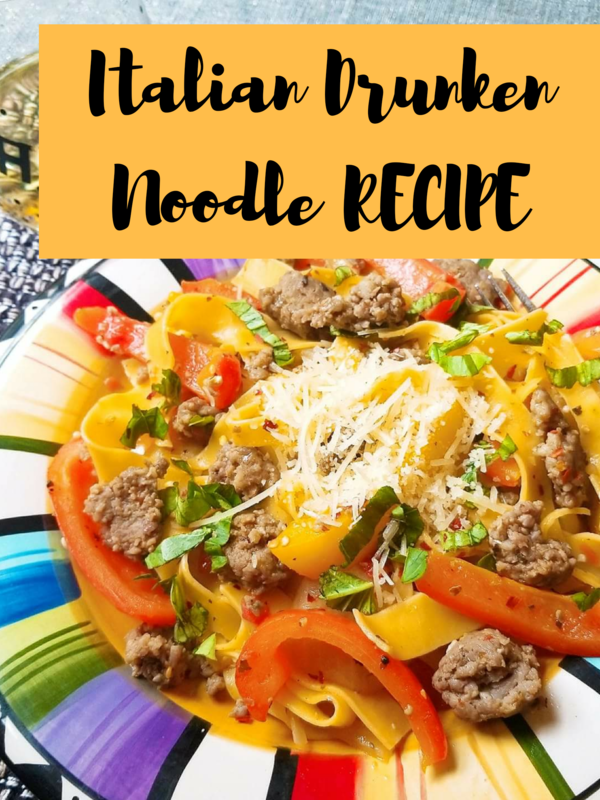 If you love that version of drunken noodle then I am confident that you will love this Italian Drunken Noodles dish! Italian drunken noodle is a family fave and for good reason~ it is a unique dish with an exciting flavor profile thanks to the white wine and fresh basil. It combines delicious pappardelle egg noodle pasta with ground Italian sausage and three colors of thinly sliced bell peppers. And oh yes, you gotta have that white wine in there. The Chardonnay is an essential and key ingredient. How else would your noodles get drunk?